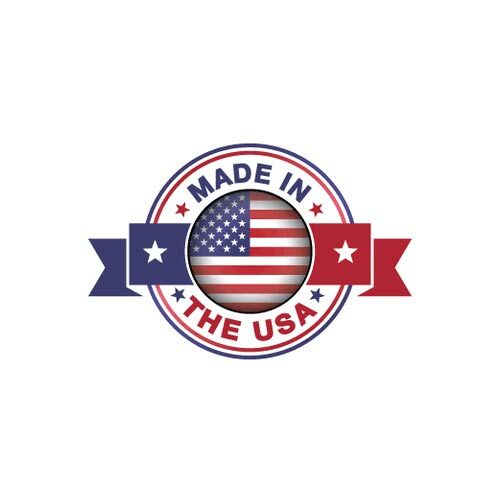 *FREE Shipping to lower 48 states, school or business. View or download our Easy Assembly instructions. Need more clips? 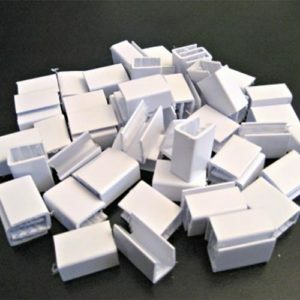 Add replacement clips to your order. Remember, Larger Packs = Fewer Cartons To Handle! Prices include shipping! Pick your pack size and color below! 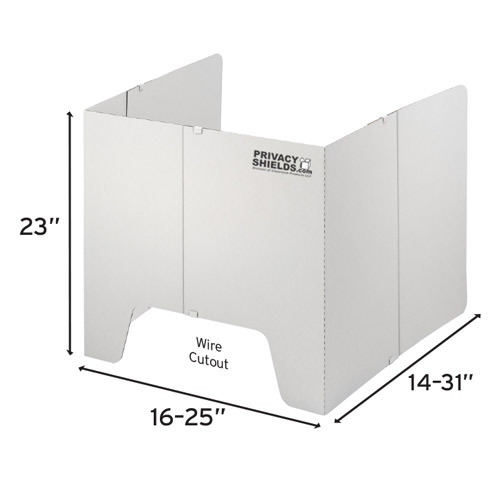 Each adjustable privacy shield includes (2) side panels, (2) back corner panels and 6 assembly clips. Works with all flat screen and CRT monitors and in situations where computer stations have many different sizes. Cut-out in the back for wiring. 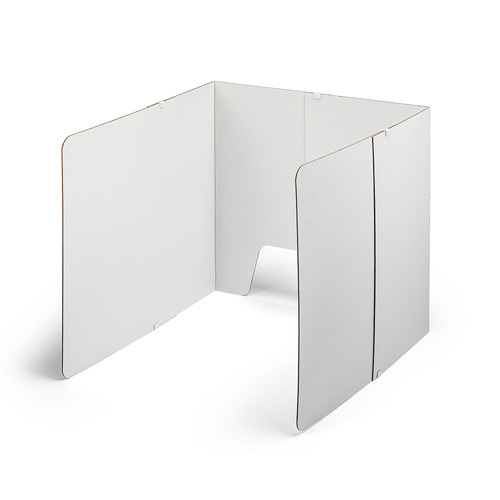 Made of durable, recyclable, 32 ECT Test corrugated cardboard material. 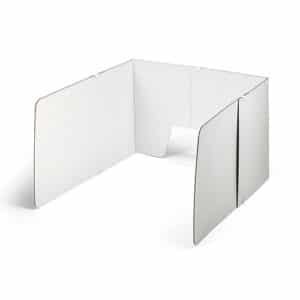 White on both sides to better reflect light on the work area and to provide a professional look in the classroom. 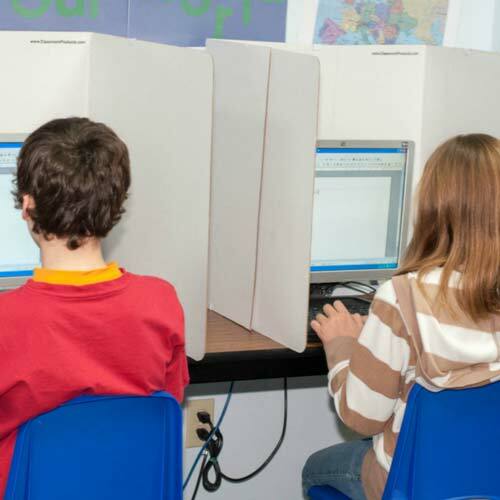 Discourage cheating and help improve student focus by reducing distractions. 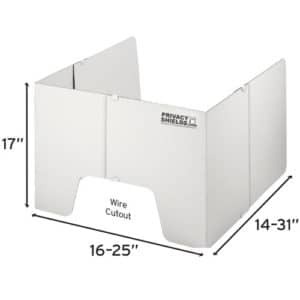 Unlike other privacy shields with sharp pointy square corners, our rounded corners provide a safer work area. 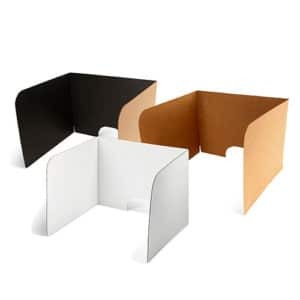 Our portable shields are easy to set up and store flat. Also accepted, major credit cards and PayPal. Becoming a Classroom Products LLC customer is easy! 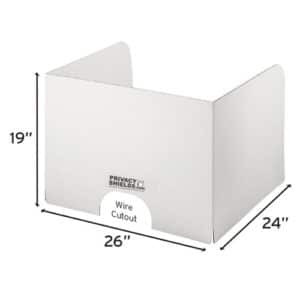 Simply send us a Purchase Order! As soon as your order has shipped we will invoice you with n​et 30 Day terms. We have four ways to receive your purchase order. (To eliminate duplicate orders, please do only one of the following) . . . Select “Purchase Order” as your method of payment during checkout and add your P.O. number. Need to set us up as a vendor?